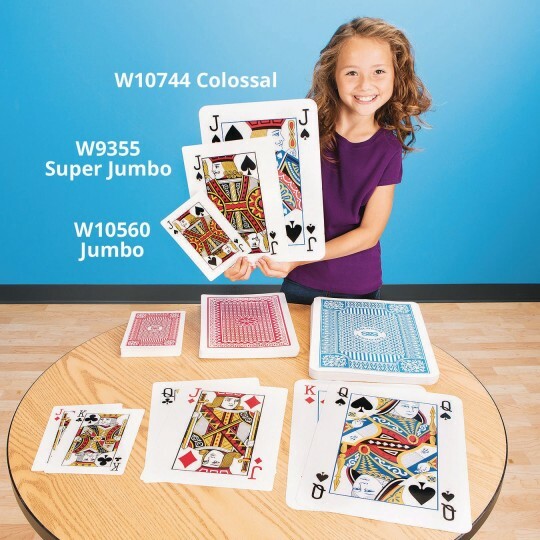 8 times larger than standard playing cards! Humongous 8-1/4" x 11-3/4" cards. Bigger cards = Bigger fun! Printed on heavy-duty card stock coated on both sides. 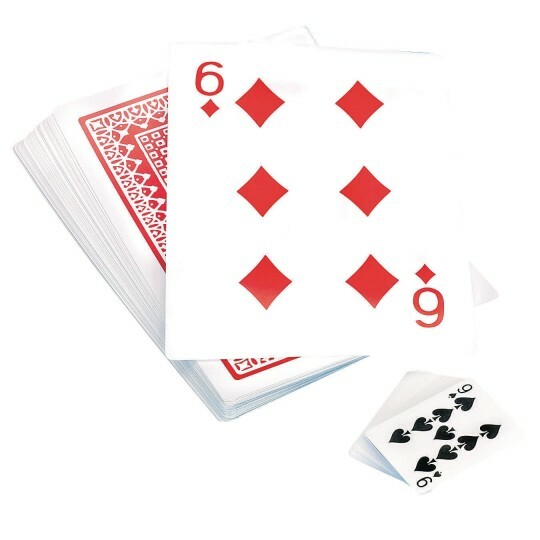 Deck includes 52 standard poker cards and 2 jokers. 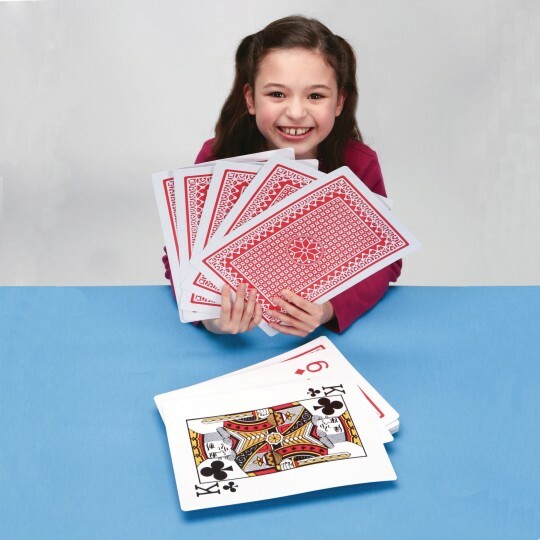 8 times larger than a deck of standard playing cards- They're humongous! Each 8-1/4" x 11-3/4" card is printed on heavy-duty card stock coated on both sides. 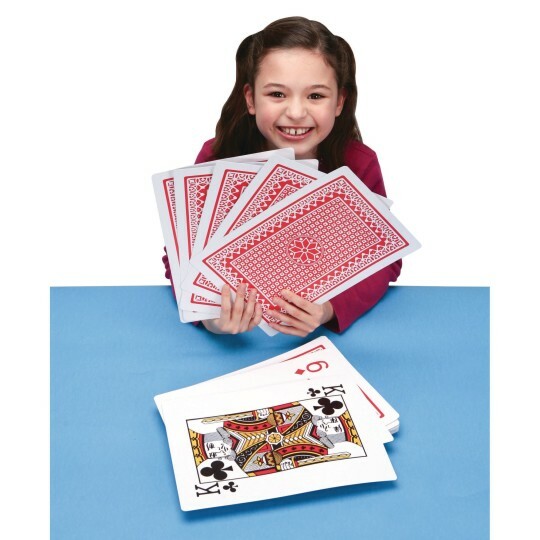 Deck includes 52 standard poker cards and 2 jokers. Make any card game more fun! 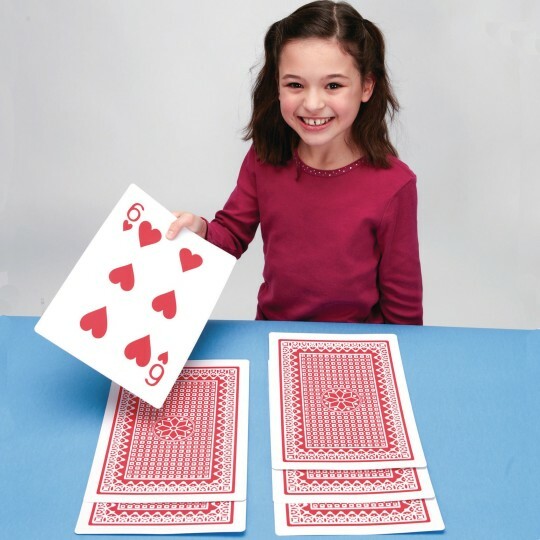 Kids and Seniors are in awe when they see these giant playing cards! Many games can be played with these. Overall great fun product! 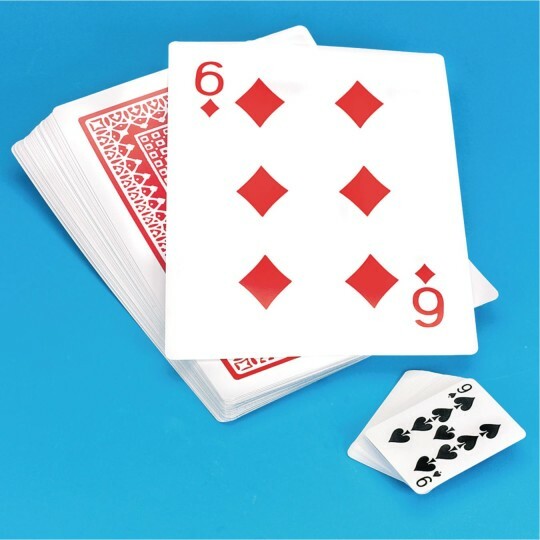 Cards were used to play a racing version of WAR but tore easily. These are great for use with our individuals!